First off! 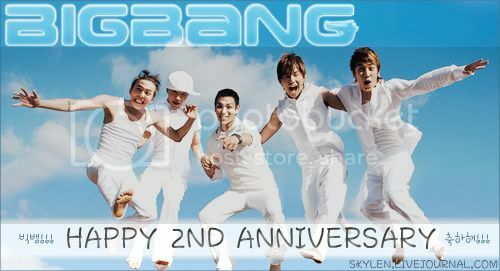 Happy 2nd anni to Big Bang!! Shiet... it's been 2 years already?? Let's sing! Ouu have you guys gone to check out BB's site for their special 2nd anniversary page?? It has a great video of the boys over the years! Like shots of them on set of their 'Dirty Cash' mv! Omo magnae... so cute! There's also a bit from their 'Oh My Friend' and 'Haru Haru' mvs! Then there are msgs from the boys! I gave up trying to read TOP's msg after the first 5 minutes of squinting... that guy writes small. lol. 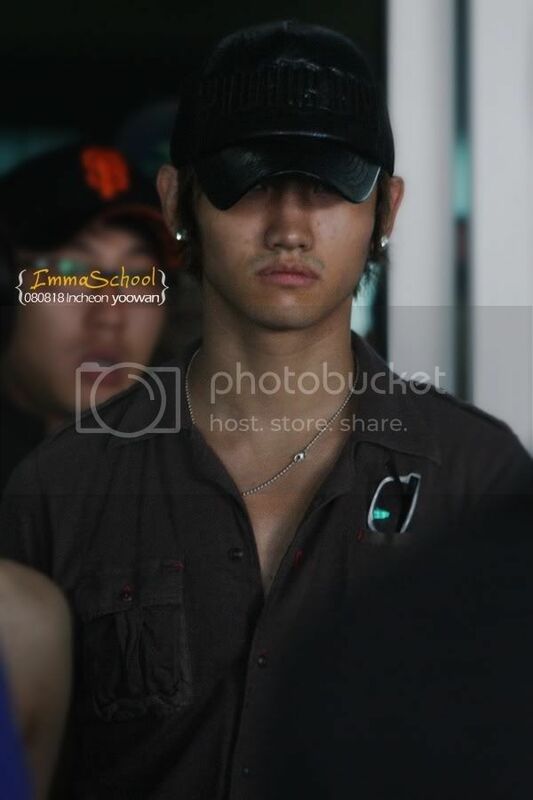 Magnae and his eyebags. xD *dies* The hearts he draws remind me of fortune cookies. Mmmm... cookies. Then infront of the SM office! Look at how bony he is... and he still needs to go on a diet?? o.O Eat Yunnie, eat!! You're wasting away by the looks of this!! Okay I know this was kind of a short spazz, but I should get going on some of the things I wanted to tackle today! 1/. the person who tagged you is? 2/. your relationship with him/her is? Lj friend and the Chun to my Yun. 3/. your first impression of him/her is? 4/. the most memorable thing he/she has done for you is? Everything really! She's befriended me and read my journal posts even though they are just full of babbles and whatnot. She sent me the cutest homemade birthday card and present for my birthday. She got me studying Korean again, though she doesn't know she did that. lol. Just everything! 5/. the most memorable thing he/she has said to you is? There are many memorable things she has said. But when she tells me take care of myself or that she misses me, those mean a lot to me. 6/. if he/she becomes your lover, you will? 7/. if he/she became your lover, what should he/she improve at? 8/. if he/she becomes your enemy, what would you do? Pfft. Never going to happen. 9/. if he/she became your enemy, the reason will be? 10/. the most desired thing you want to do for him/her now is? 11/. your overall impression of him/her is? 12/. how do you think people around you will feel about you? 13/. the characteristic you love most about yourself is? 14/. on the contrary, the characteristic you hate most about yourself is? My shyness. People's first impression of me is usually that I seem cold or distant. It's not like I don't want to get to know them or I hate them that I stay quiet, it's just that I'm not sure what to say around them. After a few hours I should start opening up more, but that depends on my mood at the moment. lol. 15/. the most ideal person you want to be is? 16/. for people that care & like you, say something to them. 17/. pass this quiz to 10 people who you want to know how they feel about you. bb! ooh god, they’re really taking over my soul. g-ri ahh!! 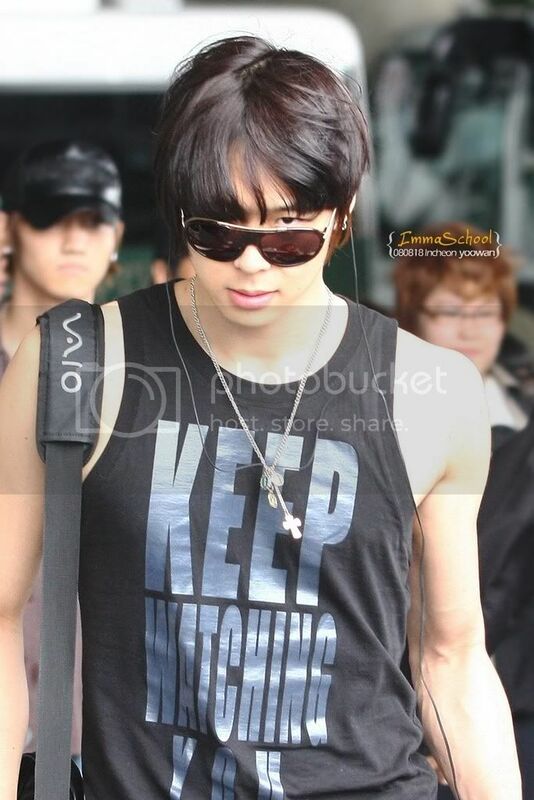 xD;; rofl, hoho’s moobies 8D; so smexy and sucha tease *dies* and course, teh chunnie xD; how can i forget him lololol. for some reason i love his hair in the airport piccies, so messy and yeah, not much of a bowlcut xD; ooh well, all of them are still hawt. BB rocks my socks! xD Especially magnae... baby is soooo cute! 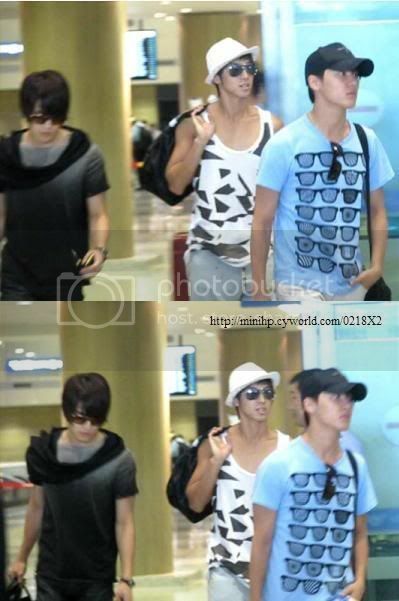 And Yunnie's moobies! <333 My eyes almost blew out of their sockets when I found the videos on Youtube! I mean, I expected there to be fancams, but it was better than I expected! Kekeke. 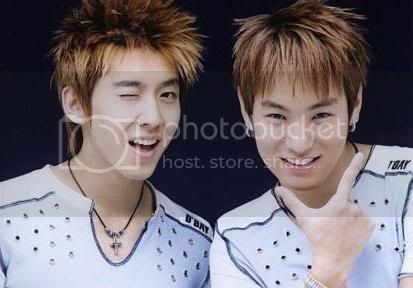 I really don't mind Chunnie's haircut too much, but I don't love it either. But he looks good never the less, especially in those airport pics! *hit icon* Teukie is doing okay now. Hopefully nothing else goes wrong. It would be easy to replace the phone, but but... but it's my Teukie. lol.